Two fairies frolic in the flowers. Thier wings are accented with Austrian crystals that seem to glow in the dimmest light. 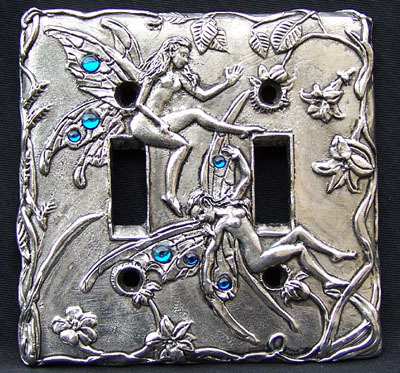 We make it by hand from lead-free pewter to fit any standard double light switch.